FC Barcelona had their second training session of the week on Wednesday without the 16 players that are with their national teams. Sergi Roberto, Aleix Vidal, Paco Alcácer, Denis Suárez and Nélson Semedo completed their workout this morning. It was held on pitch 3 of the Ciutat Esportiva together with Barça B, who will host Osteria at the Miniestadi this Sunday (6pm CET). 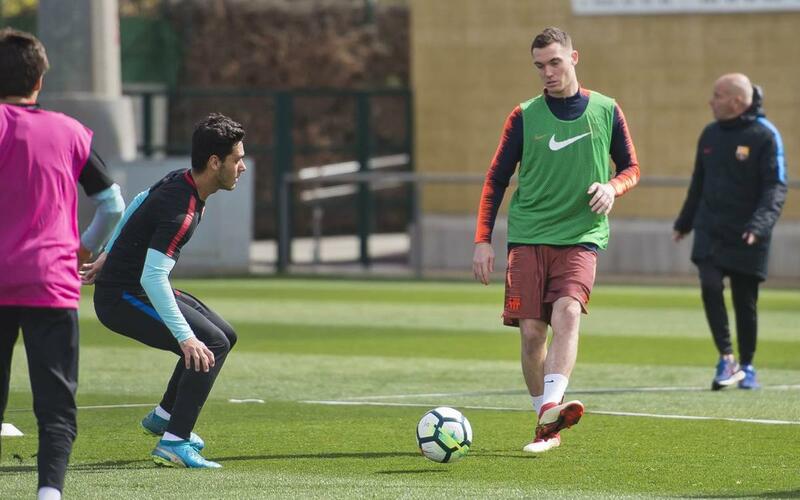 Thomas Vermaelen was also able to join in with the group, while Sergio Busquets continues to work on his recovery.